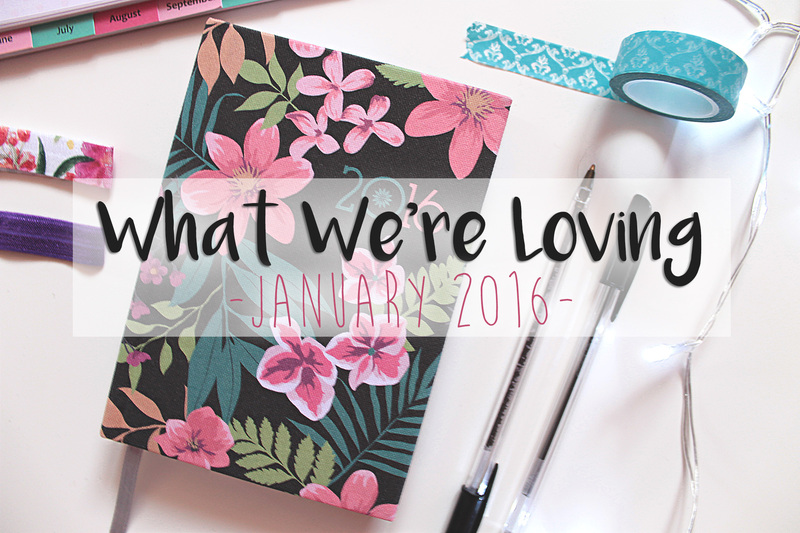 So we don’t know about you, but January has been pretty good to us blog-wise. The first month of the year is always a scary one, you want to make sure you start the year on a high. The month has flown by fairly quickly, but for us it’s brought a few amazing opportunities to our blog! Besides working and being submerged into a tonne of college and uni work, we also managed to get a few new bits, we just can’t help ourselves! Here are some of the things we’ve been loving lately. Favourite Make-Up Product: Lauren – In a previous post I mentioned ‘Birthday Suit’ and I loved it so much that I had to pick up another lip cream from the collection! This time I went for ‘Fandango Purple’ which is a lovely bright purple/pinky colour. 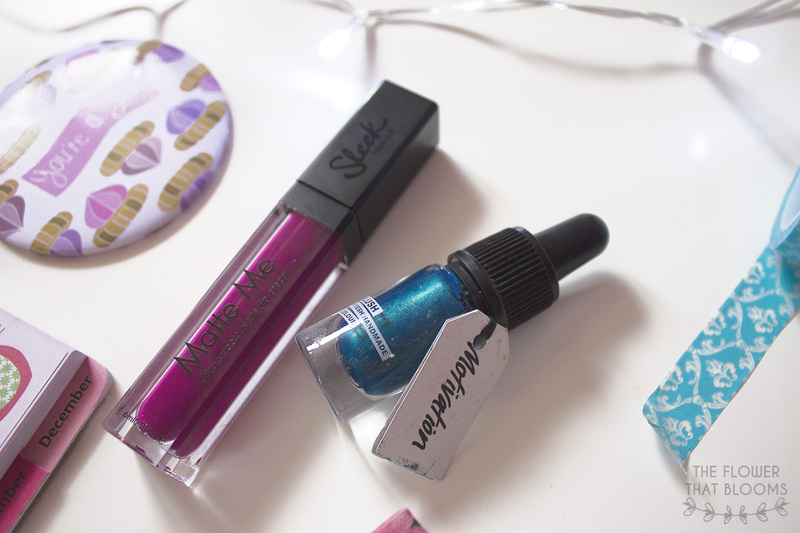 It’s really vibrant which is completely different to the sort of shades I normally wear but I’ve grown to love it! I do think that maybe I should line my lips before I apply it though, as the colour does tend to run. Rachel- I’m not very adventurous when it comes to my eye make-up. Now I’ve perfected my winged eye liner I don’t tend to try anything new. 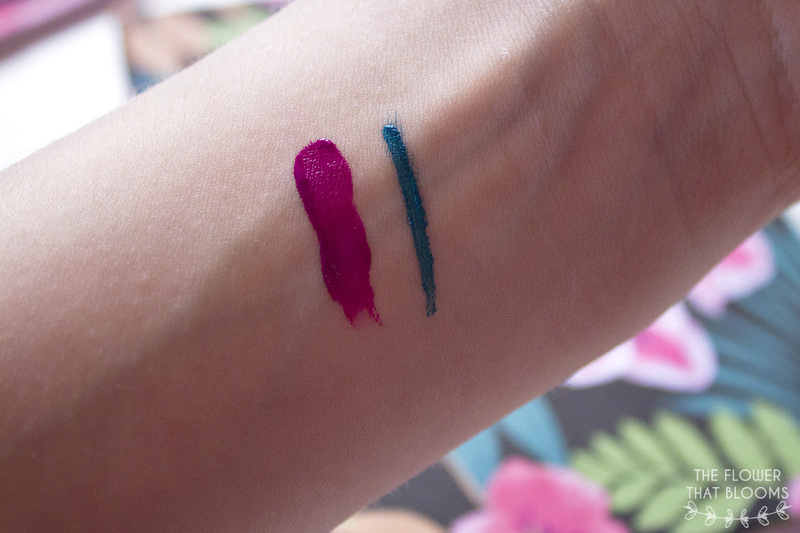 However, I’ve always loved the way coloured eye liners look, so when Lush had ‘Motivation’, a beautiful metallic teal shade, in their sale I knew it was my chance! I’m yet to brave it and create a full cat eye with it but I have been using it a lot to add a bit of colour to the wing of my eye liner. The colour is just stunning and it makes my eyes look a little bit prettier! Favourite Lush Product: We spoke about how much we adore this product in a recent haul and we’re still in love now, we’ve even bought more since! The colour, the scent, everything about it is amazing. We’re not sure when the Valentine’s collection will be leaving the shops but make sure you pick some Prince Charming up before it goes! Favourite Clothing Item Rachel- I had a Topshop voucher left from Christmas to spend and I wanted to go for something different. I saw this top and I fell in love with the little cat detail on the pocket! The shape of it is great too as it’s slightly cropped which I think looks flattering. It’s something that I haven’t stopped wearing. Lauren- We all love cute and cosy PJs right?! So when I saw these in the Topshop sale in my size, my face lit up! I love the colour and style but most of all the fact that they have pugs on them. 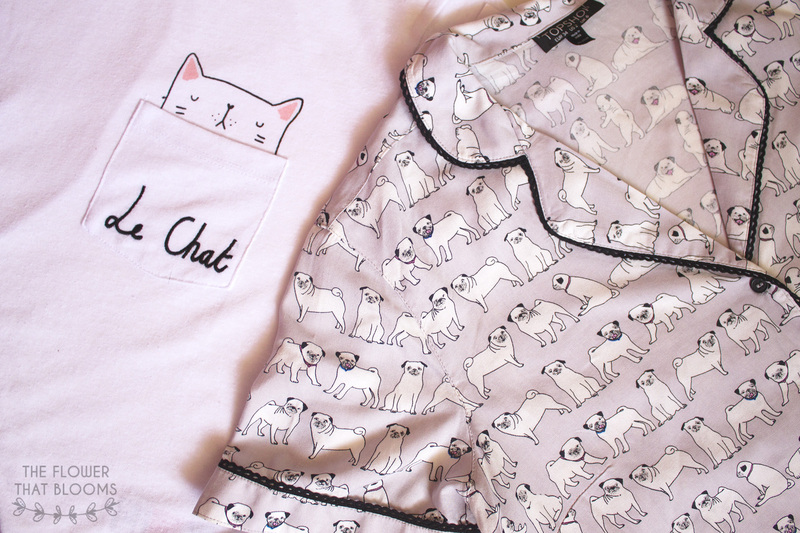 I cannot wait to live in these PJs when I’m at home chilling. They’re really good quality as well which is a bonus so I’m hoping they last a while! Favourite Song: Nothing But Thieves released their debut album last year and there’s one song that we’ve not been able to get out of our heads lately; Excuse me. It has one of those catchy choruses that gets stuck in our heads every time we hear it. We find ourselves singing it all the time! 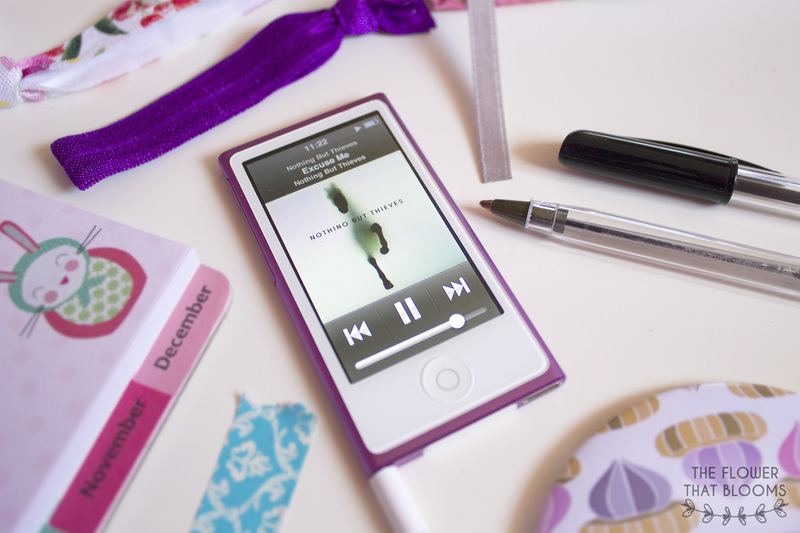 The rest of their album is amazing too, probably one of our favourites from 2015! Best Purchase: We’ve been loving Ikea lately. They sell some amazing home ware and a lot of it is so affordable. We both managed to pick up some cute stuff that can be used as decoration or even for blog props. This lantern and cute pot are perfect for both of those and they were fairly cheap too! It was hard to not choose Jessica’s blog, I am Foxxtailz, for our favourite blog of the month! 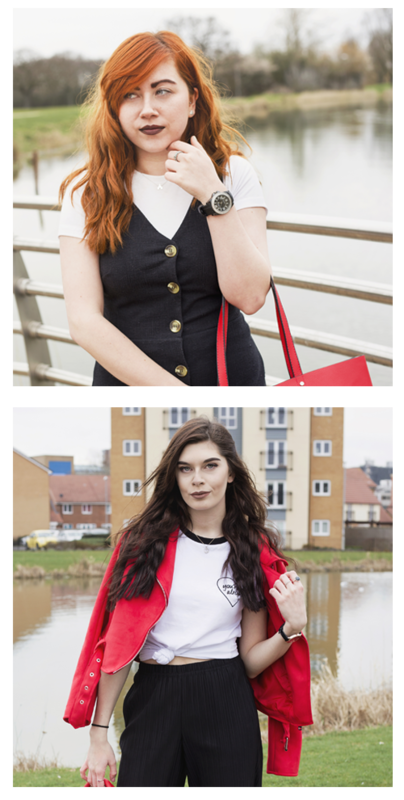 We love heading over to her blog, especially for outfit inspo and she’s lovely too! She has a really unique style and always manages to find a way to make absolutely anything look good. Whenever we aren’t sure how to wear an item of clothing we always look through her blog for some inspiration. If you love fashion blogs you need to go visit Jessica’s! We discovered Allie’s blog through meeting her at a blogger event and ever since we’ve been in love with the way her Instagram feed look. Everything looks so interesting and organised and we love keeping up with what her little hedgehog Rupert is getting up to! Allie, please teach us your ways! How has your year been so far? Let us know what stuff you’ve been loving this month in the comments! All of these look super lovely! I really want to try that Prince Charming shower gel now! You need it it’s so lovely! The lip cream sounds and looks lovely. 🙂 I can totally imagine it suiting you, Lauren.